Last year was an above-average year for hurricanes, floods, wildfires and severe winds, according to new data from CoreLogic. 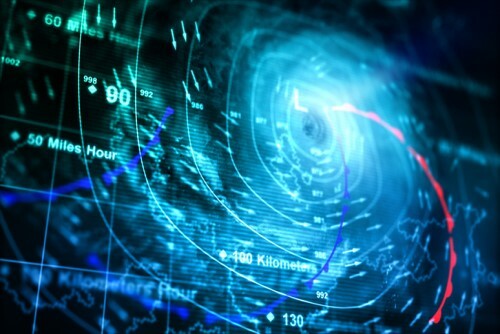 The analytics firm has released its annual Natural Hazard report, which analyzes hazard activity in the US as well as several international events, including typhoons and cyclones in Japan, Oman, Hong Kong and the Philippines. More than 1,600 significant flood events occurred in the US in 2018, 59% of which were flash flood-related. Residential and commercial flood damage in North Carolina, South Carolina and Virginia from Hurricane Florence is estimated to be between $19 billion and $28.5 billion. About 85% of residential flood losses were uninsured. Several states, including Texas, the Carolinas, Maryland and Wisconsin, experienced 1,000-year floods; several 2018 floods occurred less than two years after the same areas’ previous 1,000-year floods. Six per cent (6%) of properties in the US are within Special Flood Hazard Areas – but only about a third of those properties have flood insurance. The 2018 hurricane season saw 15 named storms, eight of which were hurricanes. Two of these, Florence and Michael, made landfall in the US. 2018 marked the third consecutive season of above-average hurricane activity in the Atlantic. About 700,000 residential and commercial properties experienced catastrophic flooding and wind damage from Hurricane Florence, which is estimated to have caused between $20 billion and $30 billion in insured and uninsured losses. Hurricane Michael was the strongest hurricane to make landfall in the Florida Panhandle since 1900 and the strongest to make landfall in the US since Hurricane Andrew in 1992. Michael is estimated to have caused between $2.5 billion and $4 billion in residential and commercial insured losses from wind and storm surge. The number of acres burned by wildfire last year is the eighth-highest in US history. Eleven western states had at least one wildfire that burned in excess of 50,000 acres; the leading states were California and Oregon, which each had seven fires that burned more than 50,000 acres. The November 2018 Camp Fire in California destroyed nearly the entire city of Paradise and damaged or destroyed 18,804 structures. The Woolsey wildfire in Malibu destroyed more than 1,600 structures. The total insured and uninsured loss for the Camp and Woolsey wildfires is estimated at between $15 billion and $19 billion, according to CoreLogic.